Healing Swat Team Permanent Target List. Post subject: Re: Healing Swat Team Permanent Target List. I had a couple things i wanted to put out there in healing land..
She had an accident recently while horse jumping and his struggling to recover from a broken neck.. The main issues right now appear to be depression and she s struggling to eat .. So I would ask for healing energy to assist in her recovery and to develop some hope and a positive outlook..initially..
2) My brother Mike has a pet scan due in the next couple weeks.. I ask that no cancer be found , in the wake of his surgery to remove a cancerous tumor from his colon over a year ago now.. Problem - After treatment, another tumour has been discovered on her bladder. She has been given a month but any love and healing sent her way would be so appreciated. 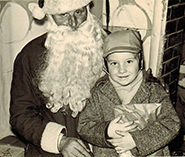 To avoid any confusion the boy in the picture on Santas knee is me..the boy who needs healing is my friends son..
Last edited by mcaul on Sat Feb 09, 2019 9:31 am, edited 2 times in total. Request: Please help decrease/remove all the pain and all scarring. I work with healing on a friend of mine with depression, eating disorder and anxiety disorder. It seems to help a bit, but she has a great sense of inferiority and she thinks is not worth of anything. She just need a little more love. Maybe one or the other here will find a minute to give something selfworth and love for her. Request: Remove the cancer cells in her peritoneum, increasing more and more the probability for remission. Remember that just multiplying by ten (which is well within our skills) the probability for successful recovery is a HUGE help. Last edited by quamta on Sun Feb 17, 2019 6:32 pm, edited 6 times in total. Last November My mother was diagnosed with advance Alzheimer stage. She lost consciousness and her heart stopped twice, the emergency room doctors resuscitate her and intubated her over the objection of the family signing the DNR. The next few weeks the tests showed that she had bleeding in the brain and in other words she is brain dead. But the doctors and the hospital administration refused to pull out the tube for money purposes. They moved her in a hospice care for couple of days. Afterwards, they moved her back to her house with a ventilator and two nurses around the clock to reduce the medical coasts on the family ( I know this is illegal her in the USA). In January/2019 they pulled the tube and they disconnected the ventilator because mom started breathing on her own. She is in a vegetable state, but stable. The situation is dire and hard on everyone. She is not coming back and she is not leaving. I am requesting a help for her to move on, if this is within the well of the LCS. She was always scared and I was wondering if she is in limbo attached to her body. Any help with the situation is highly appreciated. Any help with the situation is highly appreciated. Bethany, I am very familiar with your dilemma. My father had a brain stem stroke and was, as a result, in a "locked in state". I will leave out the details but I felt like I had been dropped in the ocean in the middle of nowhere with no life preserver. I hope you and your family are taking care of yourselves. This is a challenging time and you need space and rest. I encourage you to whisper in your mom's ear at every opportunity and encourage her to move on in the direction you and your family believe is in her best interest. Your thoughts are your link to the LCS. My thoughts are with you, your family and your mom; that you move on in peace and harmony. I have started the healing and requested support for Amber via my NPMR source. Please keep me updated on her progress or any effects if any that you notice. Sorry that I can't guarantee any outcome but only that I will try. maybe try some fasting as your body goes through a healing process and consumes unwanted cells during the process. I have gone myself 10 days without eating and after seeing what comes out of your body after several days without eating you know you did the right thing.. I would for sure recommend more than a few days doing it under doctors supervision consuming electrolytes and perhaps multi vitamins. Do so at your own risk. I would also suggest cutting out all animal products to help with eliminating the cancer cells as Insulin-like growth factor 1 (IGF-1) consumed in animal products promotes cell growth. why vegans have less chance of certain caners.. I feel cutting out all animal products ASAP will only help. Anyways, I need help with my left foot achilles heel tendon. I sprained or pulled it several months ago and it is not fully healed. I need to be able run to pass a physical fitness test to apply to jobs in the police forces and advance my career. Also just to be able to be fully mobile for life. I would really appreciate any help.. 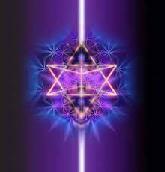 I am checking in on this thread and pushing for you guys.. Wishing you the best..
Ill send energy's your way to help. Yeh iv cut meat out of my diet also. Just finding the right balance. Doing qigong and other mixes of things to boost my body in other ways. Problem: Several years of intestinal problems and issues that vary in degree..
Ill put him on my list brian, and request healing and do some light work. Let me know if he feels better. thanks for you post here James..
Of course I also plan on setting aside some time in my meditation sessions for Gavin ..